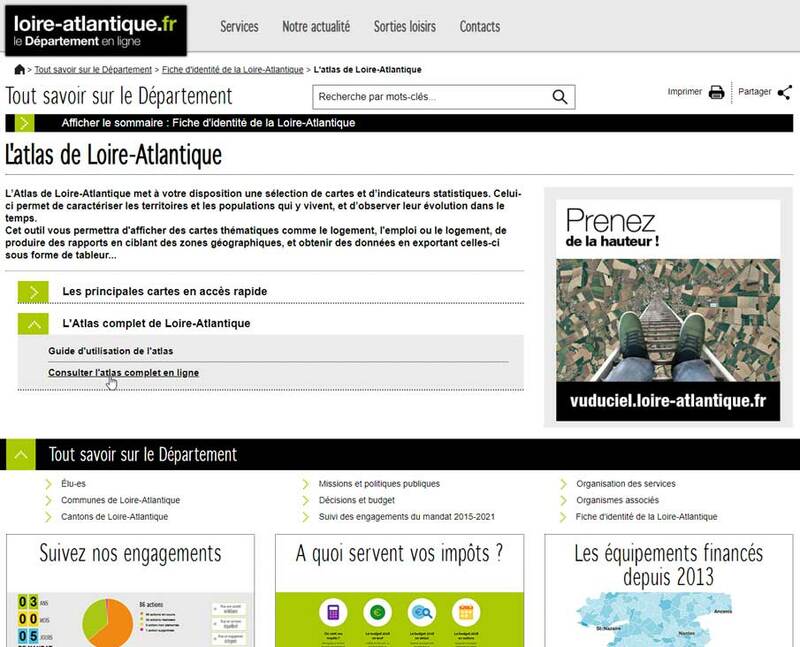 The Loire-Atlantique Department has a section on its website entitled "All about the department". There is an identity sheet allowing direct access to predefined maps, for example a density map integrated into the page. 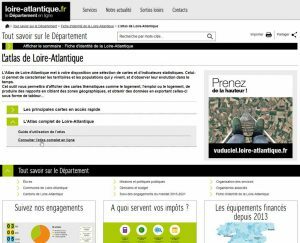 There is also of course a link to the complete atlas: https://atlas.loire-atlantique.fr. This atlas has recently undergone a major modernisation, with its evolution towards the Air version of Géoclip. The new version makes extensive use of the features available, such as the Reports workspace. On the menu, the user will be able to consult about ten thematic reports, on basic themes such as population or housing, but also on subjects falling within the department's fields of competence, such as education or social assistance. In the Indicators workspace, data access is provided through two trees, one per theme and the other per challenge. For the latter, the challenges are: a society of solidarity, a balanced territory, civic engagement. In the tree structure by theme, a specific domain is proposed allowing the consultation of socio-departmental indicators, compatible with a map of France by department. This makes it possible to obtain interdepartmental comparisons, such as on household living standards.